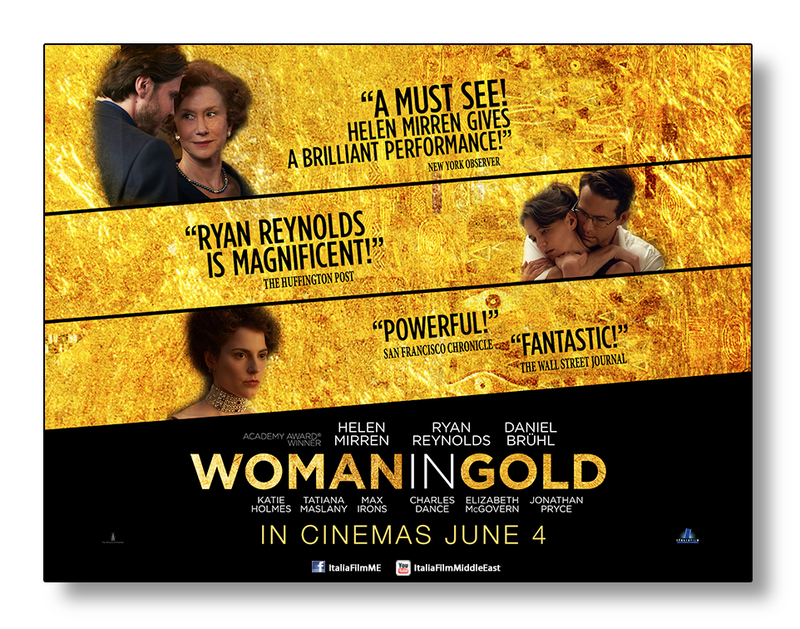 Woman in gold is a movie based on a true story about the journey of Maria Altmann (Helen Mirren) to reclaim Vienna's most famous painting that was once for her family: "The Woman In Gold made by Klimt". Ryan Reynolds plays the role of Randy Schoenberg, the lawyer who will help Altmann taking back her right. You will relive what Maria has faced in her life with a serie of flashbacks that were shot in great decors and dazzling costumes. It's by far one of the best movies we have seen this year from the amazing performance of Mirren that appeared in her full classiness and elegance to the great direction and of course the impressive story line. If you love to learn a bit of history(not the boring kind), want to know how to stand up for your right and admire the beautiful Vienna then you have to see this movie. It's playing across cinemas starting today.